This beautiful key chain is perfect to capture a moment that is a wonderful memory and have it "etched" in time. This key chain is 1.5" x 1" stainless steel with your image etched on it. Once you receive your order confirmation email please reply and send your chosen image. Please be sure it is a clear picture with good contrast. Photo may be edited to obtain best results. No copyrighted photos allowed. Beautiful gold or silver tone monogrammed bar necklace. Price includes monogram. Chain is adjustable 16"-18" Necklace will be monogrammed EXACTLY as entered in the text field. Beautiful gold or silver toned monogrammed bar necklace. Price includes monogram. Chain is adjustable 16"-18"
This silver plated bracelet is the perfect gift item that will be beautifully engraved with your 3 letter monogram. 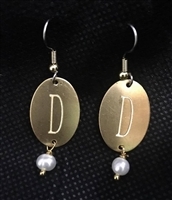 We will use the names provided to make the classic interlocking monogram. first initial LAST INITIAL middle initial. This silver tone necklace is beautifully customized with your initials.We will use the initials provided. Comes on an adjustable chain 16"-18". A perfect gift for any special lady! "God is Bigger than my highs and lows" bar necklace! (Bar is 1 1/4 inch) Shipped in a beautiful gift box! Adjustable gold or silver tone chain (16-18 in) Beautiful gold or silver tone monogrammed bar necklace. Chain is adjustable 16"-18"
This bead is perfect to capture a moment that is a wonderful memory and have it "etched" in time. The photo Bead is a .5" stainless steel center piece with your image etched on it. It fits both Pandora and Troll Bead bracelets. This item works best with just one face. Once you receive your order confirmation email please reply and send your chosen image, for this peculiar piece of jewelry please provide a head shot. Please be sure it is a clear picture with good contrast. Photo may be edited to obtain best results. No copyrighted photos allowed. This wonderful pet tag will keep your fur baby safe and stylish. The back of the pet tag has a enameled paw print in your choice of pink or blue. The pet tag is 1" Once you receive your order confirmation email please reply and send your chosen image, as well as the information you would like listed on the tag. Please be sure it is a clear picture with good contrast. Photo may be edited to obtain best results. No copyrighted photos allowed. Beautiful Bracelet and tshirt reminding you to Be Still in the presence of God. Crystal Personalized Monogram Necklace. Chain is 32" with 3" extension. Personalized Monogram Necklace. Chain is 32" with 3" extension. 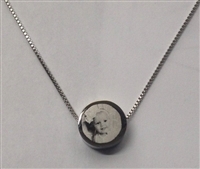 This beautiful pendant is perfect to capture a moment that is a wonderful memory and have it "etched" in time. The oval pendant is 1"x 5/8" Once you receive your order confirmation email please reply and send your chosen image, for this peculiar piece of jewelry please provide a head shot. Please be sure it is a clear picture with good contrast. Photo may be edited to obtain best results. No copyrighted photos allowed. Sterling Silver Cubic Zirconia Personalized Monogram Ring. Measures 5/8" is available in whole sizes 5-8 Sterling Silver Cubic Zirconia Personalized Monogram Necklace. This beautiful bracelet is perfect to capture a moment that is a wonderful memory and have it "etched" in time. Bracelet is made of 15mm stainless steel beads with a .5" stainless steel center piece with your image etched on it. At this time it is only available in size 7. This item works best with just one face. Once you receive your order confirmation email please reply and send your chosen image, for this peculiar piece of jewelry please provide a head shot. Please be sure it is a clear picture with good contrast. Photo may be edited to obtain best results. No copyrighted photos allowed. This beautiful bracelet is perfect to capture a moment that is a wonderful memory and have it "etched" in time. Beautiful box chain is made of stainless steel. This item works best with just one face. Once you receive your order confirmation email please reply and send your chosen image, for this peculiar piece of jewelry please provide a head shot. Please be sure it is a clear picture with good contrast. Photo may be edited to obtain best results. No copyrighted photos allowed. Sterling Silver Cubic Zirconia Personalized Monogram Bracelet. Band can be made in a choice of Sterling Silver or 14k gold artist wire This beautiful bracelet is perfect to capture a moment that is a wonderful memory and have it "etched" in time. Bracelet is made of sterling silver and/or 14k gold artist wire with a .5" stainless steel center piece with your image etched on it. This item works best with just one face. Once you receive your order confirmation email please reply and send your chosen image, for this peculiar piece of jewelry please provide a head shot. Please be sure it is a clear picture with good contrast. Photo may be edited to obtain best results. No copyrighted photos allowed.